Sizing a Battery Energy Storage (BES) for a smart building application is a trade-off between cost of the BES itself and available stored energy. Our software is able to compute, for each targeted building, the size of BES minimizing the investment cost and maximizing revenues. Unfortunately, for the majority of building (residential or industrial) there is a time mismatch between PV production and Load consumption. Our software is able to predict and manage the time window for which it is possible to charge the BES (PV higher than load) and discharge the battery (PV lower than load). The management is done for reducing the ageing of the BES and increasing the revenues. Based on our validation, in real buildings located in Lausanne, the ageing is reduced up to 45% compared to a not ageing aware strategy. Deploying your battery for frequency and/or voltage control? How much will it cost from the utility point of view? And from an end-client? We are able to compute this cost and the associated benefit. Wondering about the lifetime of the battery pack of your medical device? We can evaluate it and give you some tips for extending its lifetime as longer as possible. Is ageing of batteries really important ? All these wrong behaviours have to be avoided with residential and industrial battery storage systems. Letting your smartphone turning off because of a complete discharged battery is reducing its useful lifetime up to 1%. Keeping your smartphone connected with the charger all night long is reducing the lifetime of the battery up to 40%. It is better to charge it in the morning for one hour. Charging your smartphone if its temperature is high (35 degres) reduces the useful lifetime of the battery up to 40%. It is better to wait that the smartphone cools down and charge it later on. We are so proud of our milestones 19 months after Aurora’s Grid foundation. 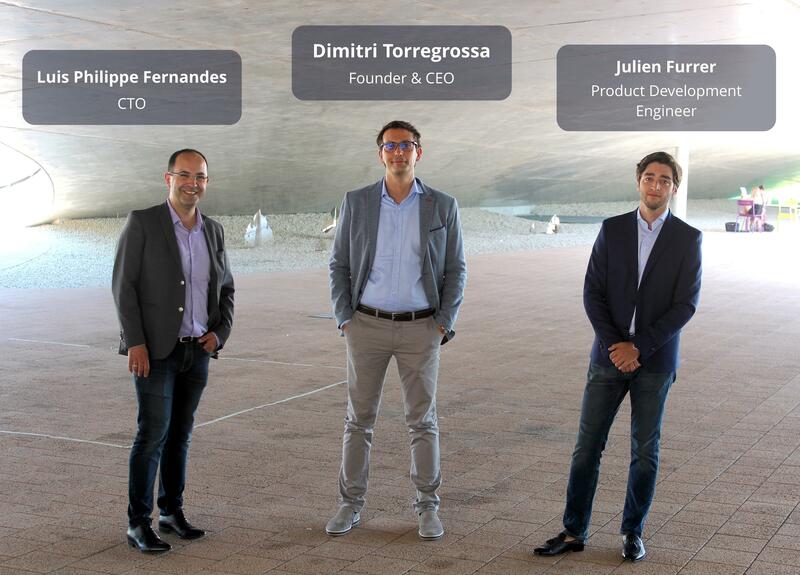 June 2017 - First client, DSO of Lausanne city (Services Industriels de Lausanne) funding the prototype of the software. 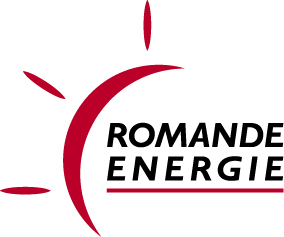 August 2017 - Second client, DSO of Canton VD (Romande Energie), life-time computation and optimization of Li-ions battery storage systems. September 2017 - First version of our energy management software, Aurora’s Grid 1.0. It reduces the ageing of the Li-ions battery up to 45% and its investment cost up to 20%. January 2018 - Aurora’s Gris is the leading partner for the project ExpSebi focusing on the second-life battery of electric vehicles (partners: HEIA-FR, PSA Groupe and EMPA). 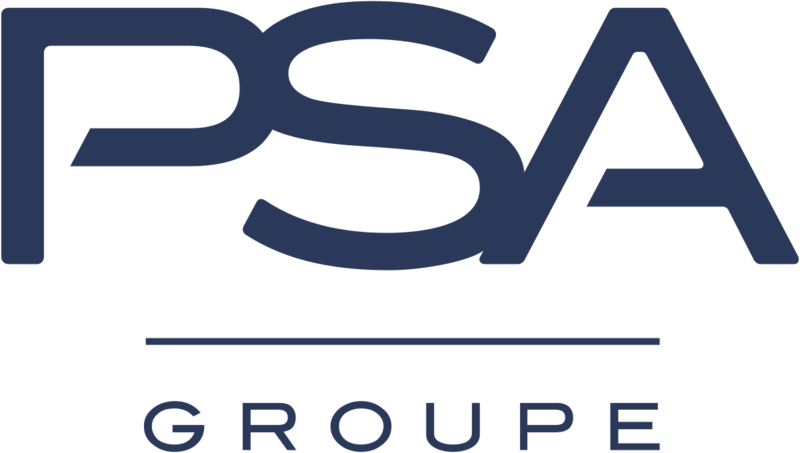 February 2018 - Partnership with PSA Groupe on second-life scenario of Li-ions battery. 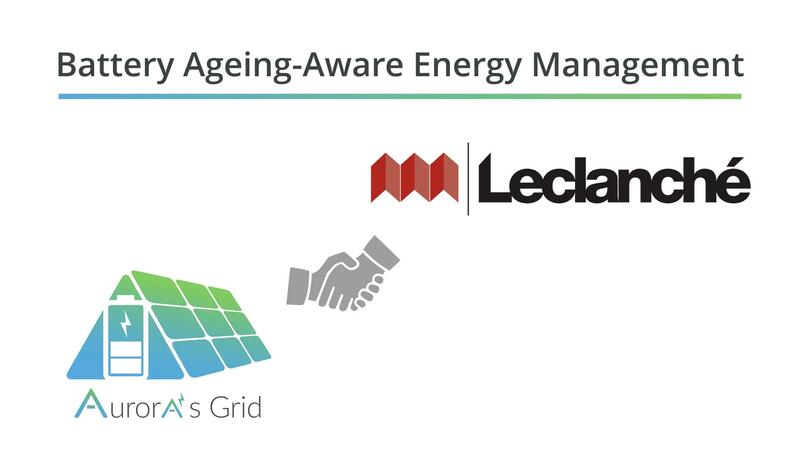 March 2018 - Partnership with Leclanché SA, the leading Swiss Li-ions battery manufacturer. April 2018 - Aurora’s Grid received a grant of 367’680 CHF from Swiss Federal Office of Energy SFOE to industrialize the energy management software of Li-ions battery. 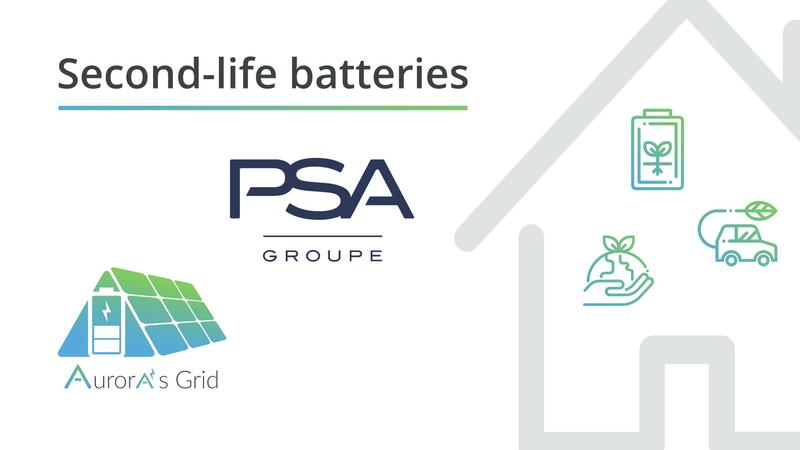 We are pleased to announce that Groupe PSA and Aurora’s Grid engage a common study on EV cells ageing in 2nd life stationary usage. We target the deployment of aged lithium-ion cells from electrical vehicle during a second-life for increasing energy self-consumption in smart-building, which is a very good example of Circular Economy. This collaboration is framed within the project “ExpSEBI, Experimental Evaluation of Second-Life of Lithium-ions cell for Smart-building/micro-grid” at Energy Institute co-chaired by Pr. Elena-Lavinia Niederhäuser and Jean-Philippe Bacher of the University of Applied Sciences (HEIA-FR) in Fribourg, Switzerland. 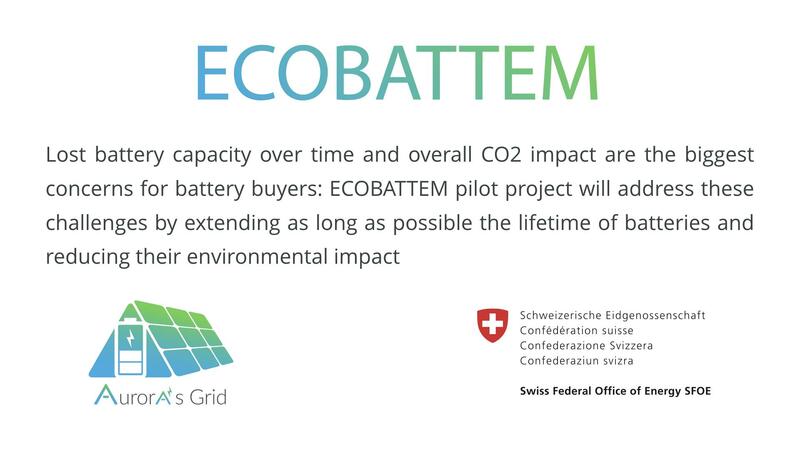 Aurora’s Grid is honoured to announce the grant of 367’680 CHF received from the Swiss Federal Office of Energy SFOE for the project ECOBATTEM: Eco-friendly and Ageing-Aware Energy Management Software for Li-ions Batteries. The main deliverable of this project will be an energy management software (EMS) for Li-ions battery storage systems. The EMS will control the batteries ageing with the goal of extending their lifetime and reduce their overall CO2 impact. 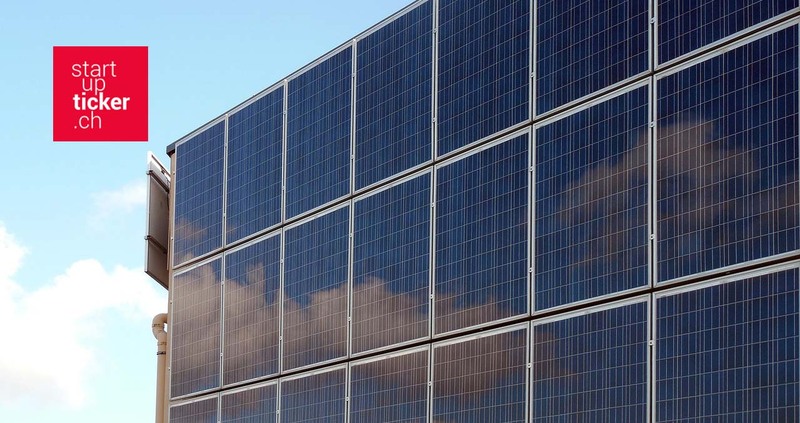 The software will be validated within June 2019 in three different smart-buildings/microgrids equipped with a rooftop PV plant. The Swiss Federal Laboratories for Material Sciences and Technology Empa. Aurora’s Grid is pleased to announce and welcome its newest board member Luis Philippe Fernandes, as Chief Technical Officer. 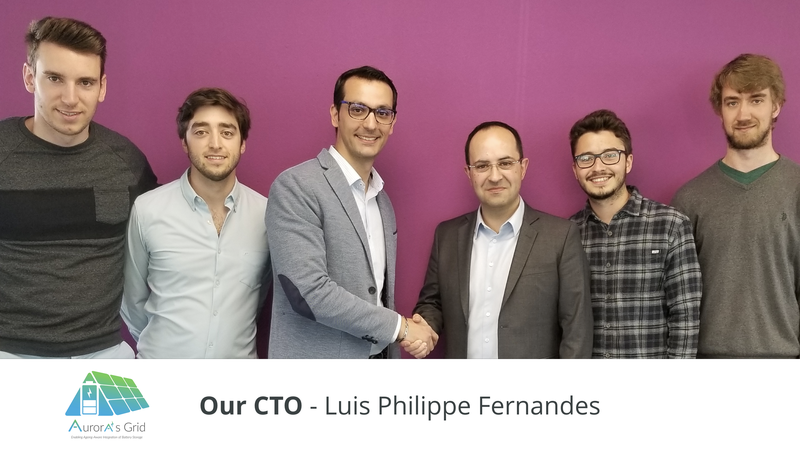 Within this role, Luis Philippe Fernandes will support the industrialization of our energy management software for Li-ions battery and the growth of our business. 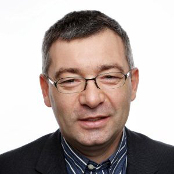 Luis Philippe Fernandes comes from 18 years of experience at PSA Group whose 10 focused on electric and hybrid vehicle research and development. 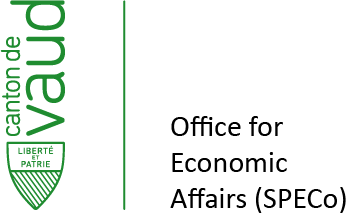 This new position at Aurora’s Grid is a great continuation of his career in the disruptive field of Smart-Grids…. Aurora’s Grid has been selected, by Bilan Magazine, among the top 50 Switzerland Startups to invest in 2018. Every year, Bilan Magazine, the most recognized publication covering the Swiss economy selects 50 of the most promising startups in Switzerland. In its 2018 annual issue of the 50 startups in which to invest in, Bilan highlights the best of Swiss innovation. 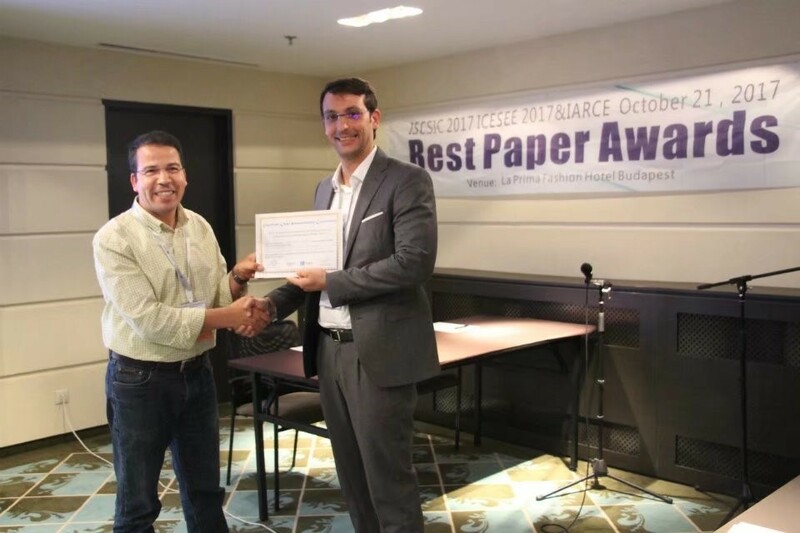 "Rooftop Photovoltaic Power Plant and Electrochemical Storage: Trend and Perspectives for Residential Buildings"
The best paper is selected by scores compiled by the at least 2 session chairs from those papers that have received the highest review scores and/or highest number of best paper award nominations. Dans la lignée de la scale-up DEPsys, une nouvelle startup a rejoint le Smartgrid Hub vaudois: Aurora’s Grid. 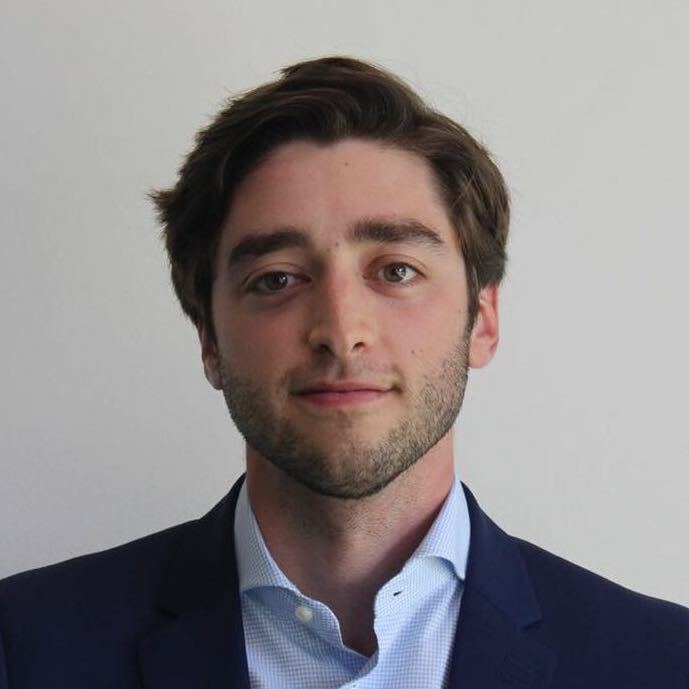 Cette société, fondée par Dimitri Torregrossa, a développé une solution informatique pour la gestion intelligente des batteries industrielles. Après avoir obtenu, cet été, le soutien du Fonds pour l’efficacité énergétique (FEE) de la Ville de Lausanne pour le développement de son logiciel, l’entreprise vient de signer un deuxième mandat dans le cadre du projet démonstrateur Demo-REel FURIES entrepris par Romande Energie avec le soutien de l'OFEN. 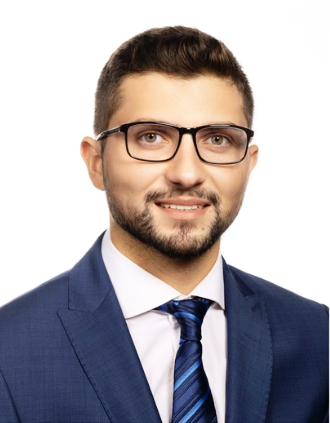 Dr. Dimitri Torregrossa is founder and CEO of Aurora’ s Grid since its creation in October 2016. Passionate about renewable energies and electrochemical storage devices he decided in 2016 to make a software for managing battery storage systems. He got a Phd in electrical engineering and a post-doctoral experience of 5 years at EPFL in ageing of Li-ions cells and Ultracapacitors. He has worked/collaborated, last 7 years, with several industrial partners such as Leclanché SA, Arts Energy, Nesscap, Maxwell, Romande Energie, Services Industriels de Lausanne. 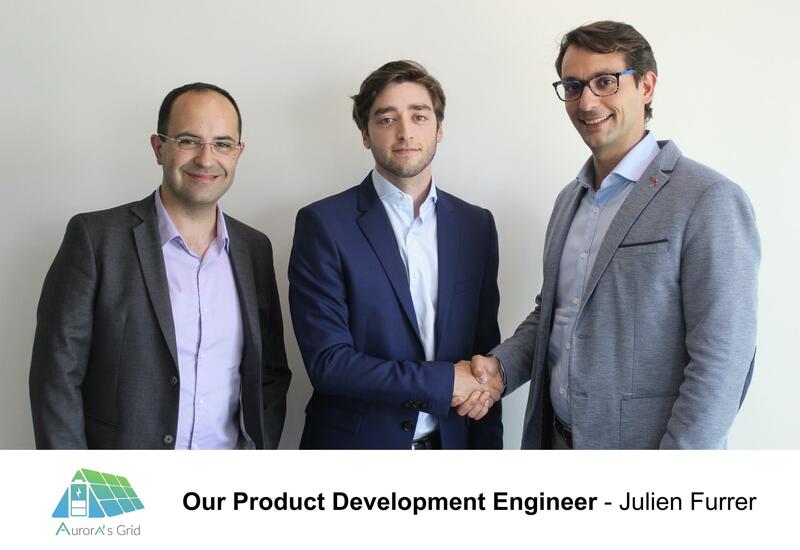 Julien holds a Master of Mechanical Engineering with an energy specialization from EPFL. He has worked on a Master thesis on the LCA of the Battery Energy Storage System. He joined Aurora's Grid venture with the main goal to develop and industrialize the energy management software. 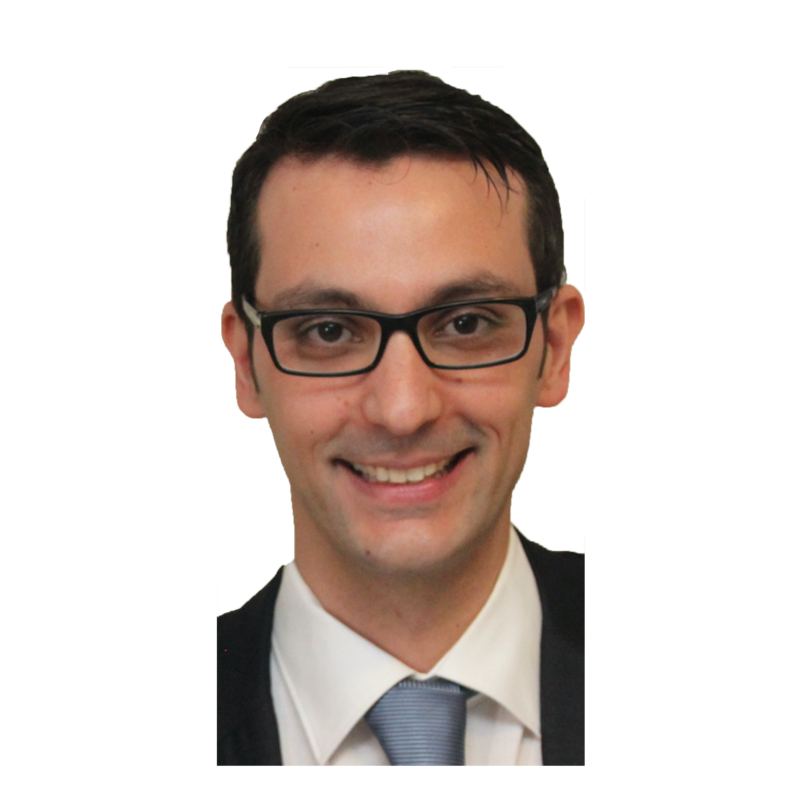 Abbass holds a PhD in Information systems from University of Geneva and a Master in Communication systems from EPFL. He joined Aurora's Grid in order to strenghten the team's IT skills and industrialize the software. 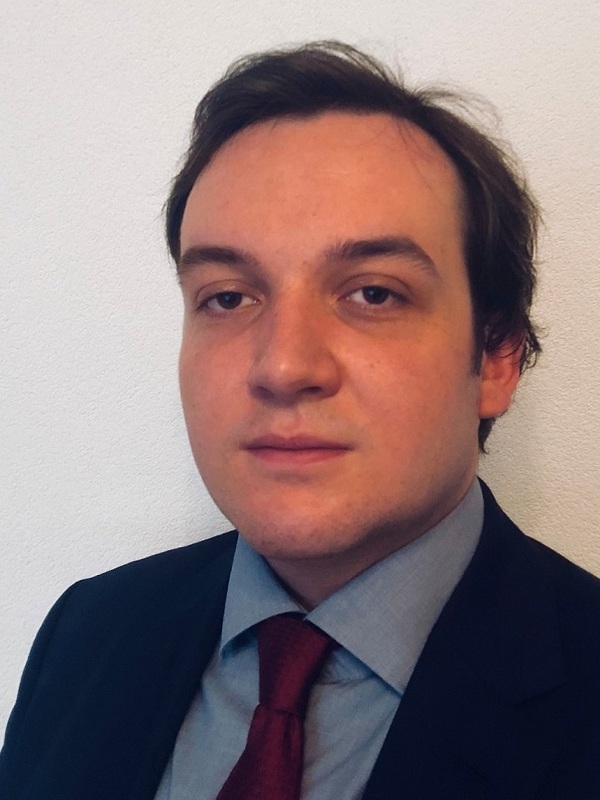 Egor is completing his Master in Finance from HEC Lausanne. He's doing his Master thesis in the company with the goal of studying the economic impact of a large Li-ion batteries deployment. Independent private equity executive, financial advisor and business coach with extensive experience in venture capital, M&A and early stage start-up companies.